At Lanoue Chevrolet, we are proud to offer the Mobility Program with General Motors (GM). We know the importance of mobility if you have a disability. That is why we have designed a program to help people who have a disability find the resources they need. 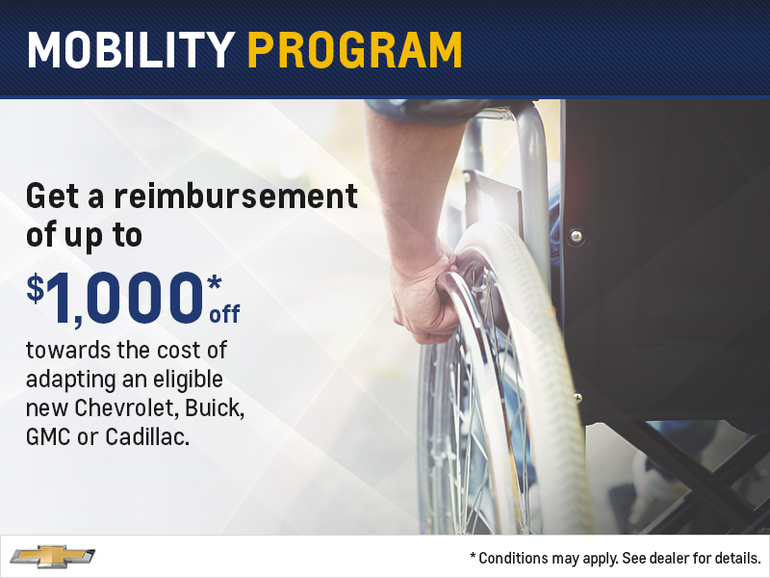 You receive a reimbursement of $1,000 towards the cost of adapting an eligible new Chevrolet, Buick, GMC, or Cadillac. Regular production options and GM accessories are not eligible for reimbursement. For more information contact us or visit GM Canada.